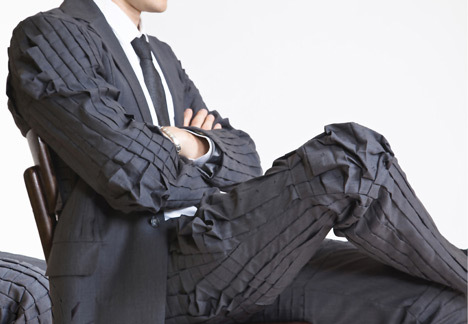 “Wear Out” suit by graduate designer Carolina Reis. It folds, pleats and tucks, exaggerating the movements of its wearer. Found here.